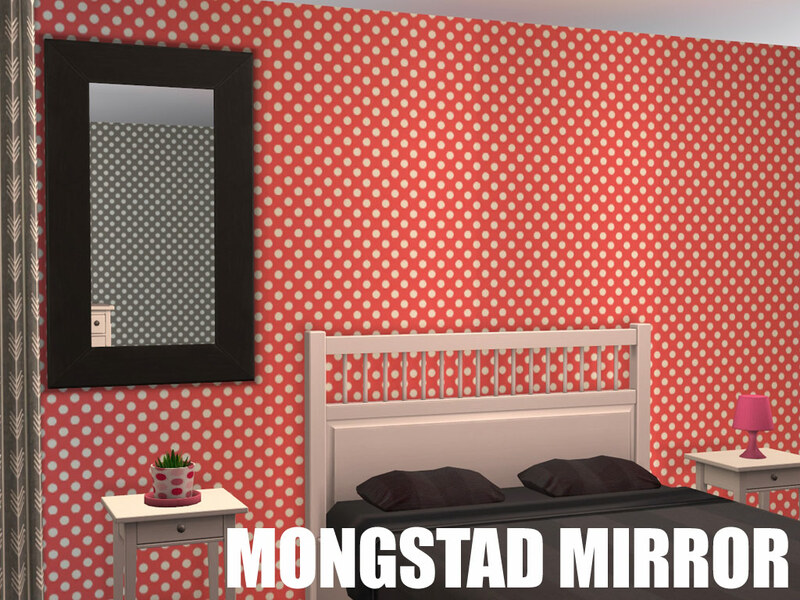 Apparently bathrooms and IKEA mirrors are my thing lately. 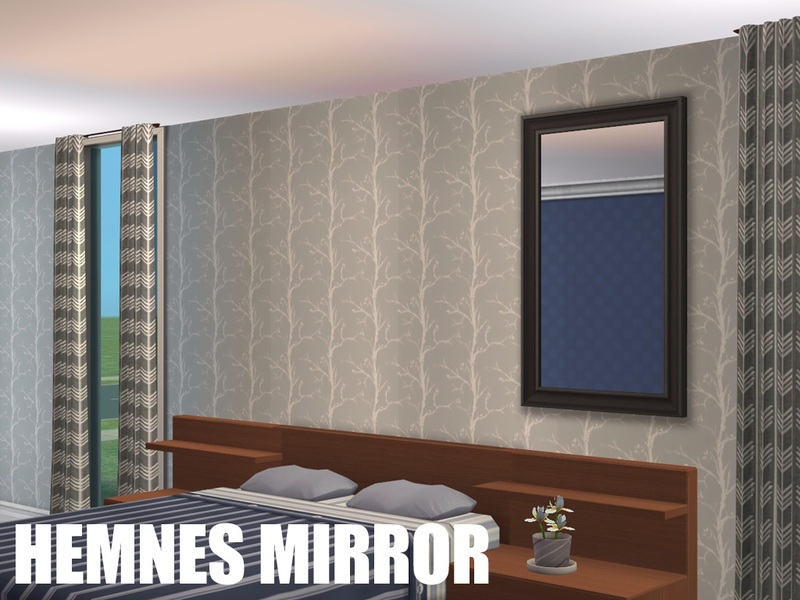 I was staring at one of my lots and realized that apart from proper two-tile mirrors, the game also lacks a variation of counterheight mirrors (that don't clip the sink or counter). So I went back to my good old IKEA friends. 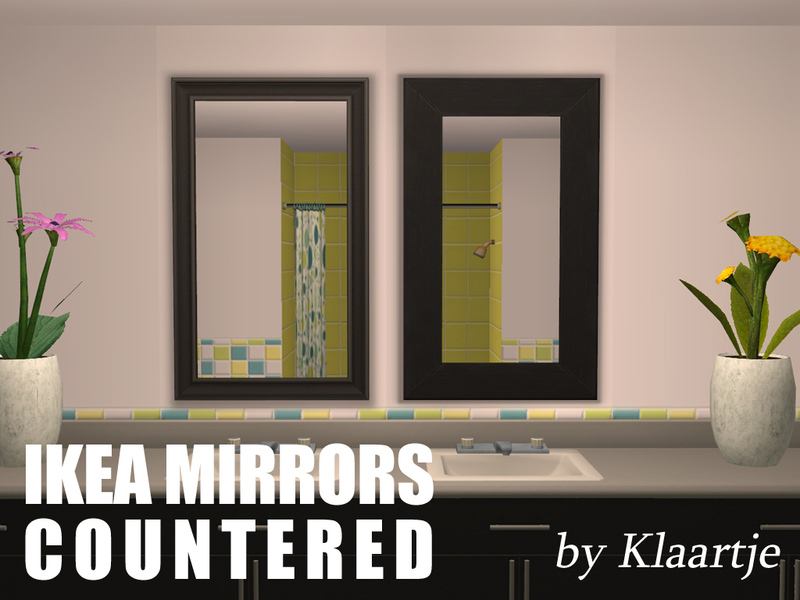 I resized the mesh, made sure the shadows and reflections matched up and texture-linked these to the original IKEA mirrors. Both tested in a BG+IKEA AGS environment. If you don't have IKEA, have a look here. IgnorantBliss for the awesome tutorial on repo-linking stuff. Ooh awesome. This is so useful. Thank you, klaar!